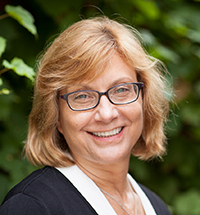 Sharon Tennyson is a Professor at Cornell University in the Department of Policy Analysis and Management, a Core Faculty member of the Cornell Institute for Public Affairs (CIPA), and Director of Graduate Studies for the Field of Public Affairs. She is a faculty Fellow of the Atkinson Center for a Sustainable Future and faculty coordinator of the Mario Einaudi Center's Working Group on Disasters. From 2014-2017 Dr. Tennyson served as Director of CIPA, and from 2012-2017 she served as Editor of the Journal of Consumer Affairs. She is currently a Senior Associate Editor of the Journal of Risk and Insurance. She is a former president of the Risk Theory Society, and began her career as an Assistant Professor in the Department of Insurance and Risk Management at the Wharton School of the University of Pennsylvania. “Effects of Informational Nudges on Consumer Debt Repayment Behaviors,” with Lauren Jones and Caezilia Loibl, Journal of Economic Psychology 51 December 2015: 16-33. “Product Ratings as a Market Reaction to Deregulation: Evidence from the German Insurance Market”, with Stephanie Meyr, Risk Management and Insurance Review 18(1) Spring 2015: 77-100. “The Effect of Prescription Drug Withdrawals on the Use of Competitor Drugs: The Case of Vioxx,” with J. Michael Collins and Kosali Simon, Journal of Economic Behavior and Organization 86(1) February 2013: 148-168. “Insurance Distribution,” with James I. Hilliard and Laureen Regan, chapter 23 in Handbook of Insurance 2nd edition, Georges Dionne, editor. Springer 2013. “The Effects of Expanding Property Rights on Women’s Economic Activity,” with R. Richard Geddes and Dean Lueck, Journal of Law and Economics 55(4) November 2012: 839-867. “Challenges and Approaches to Consumer Protection in the Insurance Industry,” in The Fundamentals of Future Insurance Regulation and Supervision: A Global Perspective, Patrick M. Liedtke and Jan Monkiewicz, editors. Palgrave MacMillon, 2011. “The Impact of Rate Regulation on Claims: Evidence from Massachusetts Automobile Insurance,” with Richard A. Derrig, Risk Management and Insurance Review 14(2) Fall 2011: 173-200. “Incentive Effects of Community Rating in Insurance Markets: Evidence from Massachusetts Automobile Insurance,” Geneva Risk and Insurance Review 35(1) June 2010: 19-46 . “Do State Cost Control Policies Reduce Medicaid Prescription Drug Spending?” with Kosali I. Simon and Julie Hudman, Risk Management and Insurance Review 12(1) Winter 2009: 37-64. Dr. Tennyson is Director of Graduate Studies for the field of Public Affairs (CIPA), which offers a 2-year Master of Public Administration (MPA) degree.